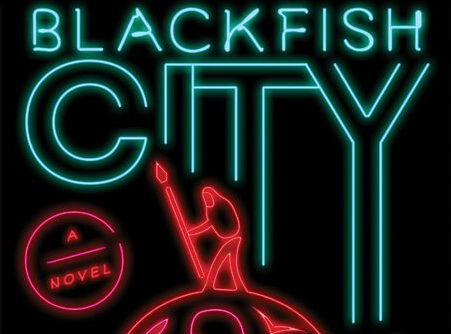 In Blackfish City, Sam J. Miller creates a vivid, if daunting and dystopian, future after climate change has so ravaged the world that the great powers have fallen and nearly everyone is a refugee. Themes like hybridity and diaspora, alienation and found family, greed, religious intolerance and genocide, class struggle, revenge, and rebellion are all seamlessly woven together in a tale told in the floating Arctic city of Qaanaaq, a city peopled with refugees, run by artificial intelligence, and owned by the mega-wealthy. 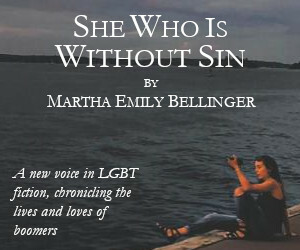 The plot kicks off when a mysterious woman—the orcamancer—rides an orca to the city, polar bear at her side, triggering rumors and speculation about who she might be, and why she had come. We meet her again about half-way through the novel, and, eventually learn that she’s there to find her long separated children and spouse. As the narrative unfolds, we are pulled into the lives of a cage fighter, Kaev, who is paid by his mob boss and lover to throw his fights, a city bureaucrat, Ankit, who is searching for a way to free her institutionalized mother, a teenage gender-nonbinary courier, Soq, sick with “the breaks,” trying to find a way to get by, and Fill, the wealthy son of a mega-rich power-broker, all against a backdrop of powerful people maneuvering to keep power, and those less fortunate maneuvering to survive. Woven masterfully into this book are a number of compelling sci-fi features and themes that not only move the plot forward, but unlock the reader’s imagination, inviting contemplation and reflection. First, a contagious disease, known only as “the breaks,” is sexually transmitted and disrupts the victim’s thoughts with images and fragments of memories from the mind of the person who transmitted the infection, as well images and memories from whomever infected that person, and the person before that, and on and on, presumably all the way to patient zero. Second, nanobonding—nano-technology that psychically binds a human with an animal, linking their brains and senses, creating a profound symbiosis—establishes a class of people and animals who are hated, hunted, and murdered. Miller’s narrative style—each chapter is told from the point of view from one of the main characters—orients the reader as the plot thickens. We experience the novel and life on Qaanaaq from the point of view of the different narrators: Kaev, Fill, Soq, Ankit. An underground, mysterious, and anonymous podcast, City without a Map provides the fifth point of view through which the reader will engage the narrative. Science fiction often tells stories that take place at some other time, and in Blackfish City, we encounter a near future rife with environmental catastrophe, nanotech, oligarchic rule, and AI overlords. But the best science fiction not only takes us someplace else, but it reflects upon current, timely social pressures, anxieties, and struggles. And this is where Miller shines most bright, holding a future-inflected mirror for us to look in. The breaks, a disease not fully understood, becomes a source of both stigma and pride, suffering and revelation. Immigrants face backlash from others who themselves could have only immigrated to Qaanaaq a generation or two ahead of those they persecute. Homeless refugees clutter the streets while apartments stand empty in a move to inflate rental prices. Crime lords in cahoots with the oligarchy protect the status quo. Through it all, though, and perhaps first and foremost, Blackfish City is a tale about family: lost family reunited, queer family surviving and thriving, animals as family, and family at-once loyal and compassionate and fully at war with itself. 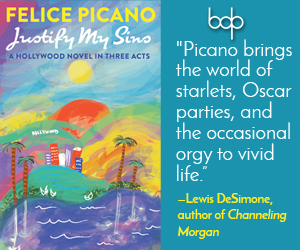 It is a human story that introduces us to characters who are relatable and flawed, heroic and scarred. Blackfish City is a masterfully crafted, fast-paced read. It’s fun. It’s timely. And it should definitely be on your summer reading list.